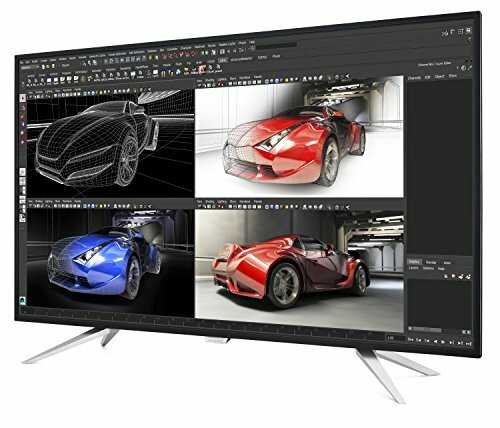 The Philips Brilliance BDM4350UC is a 43-inch monster gaming display aimed at those who aspire to 4K, and want to be able to see the extra details when they run in this mode from across the room. But how practical is a screen this big, and what aspects have been sacrificed to achieve the affordable price of $ ? As designs go, the Philips doesn’t break any moulds or challenge any expectations. It’s a 43-inch IPS panel – with a 1cm border on three sides and a marginally thicker bezel on the bottom – that most people will immediately assume is a TV. 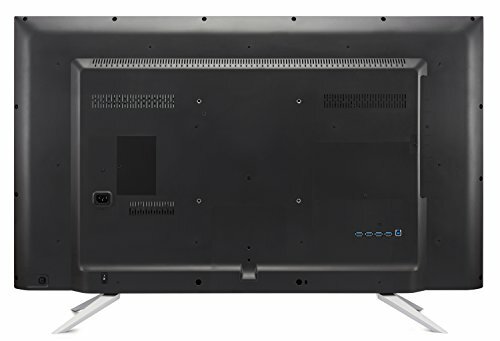 One annoyance that we immediately identified was the placement of the input ports on the rear of this screen. There are five video inputs: two DisplayPort 1.2 connectors, another pair of HDMI 2.0 ports and a wholly nostalgic VGA port. Along with the video inputs, there are also audio jacks and a full USB 3.0 hub with four ports. What’s wrong with all these inputs is that they are all at 90-degrees to the back of the screen, rather than flush. That means for wall mounting, you will probably need to find cables with L-shaped connectors, or you will have cabling problems. Where this design seems less like a TV is in the included control joystick, a system which in the last six months has taken over from the confusing button clusters that came before. The joystick provides access to an onscreen menu system that enables you to tweak a wide range of settings including brightness, contrast, colour temperature and input selection. Philips quotes an sRGB gamut of 100% for this panel, although in our calibration testing we only managed 97% – and just 75% of AdobeRGB. Those aren’t bad numbers, but it wouldn’t tempt anyone who works professionally with colour. But what lets this panel down is the backlight, or rather the inconsistency of it over the full length of this screen. The other problems are frame and backlight shadows that become very apparent when the screen is a uniform colour. In moving games with a complicated background these artefacts weren’t noticeable. But set the desktop to a single flat colour, and they immediately become apparent. It’s good, but this screen is far from perfect – and at this price, we shouldn’t expect it to be. 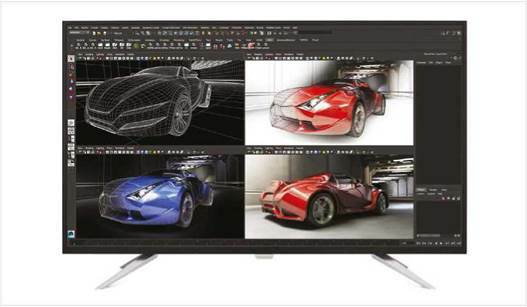 Sports a very large screen with 4K resolution at a great price – as long as you have the graphics power to support it. Average metrics for its more affordable price, poor port orientation and backlight shadows. 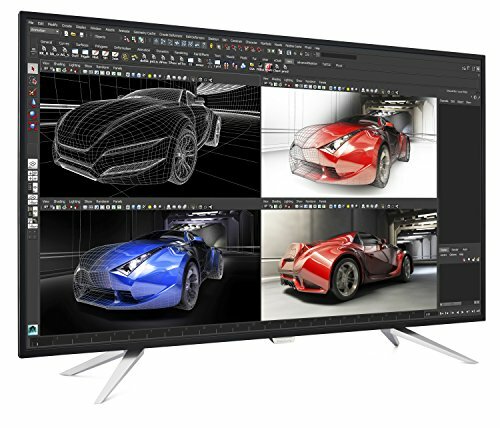 A whopping 43-inch monitor that truly needs a large room to fully appreciate its physical scale and 4K resolution. While the sRGB gamut range is decent, and the refresh rate high, this panel does suffer from backlighting issues and poor port placement, unfortunately. 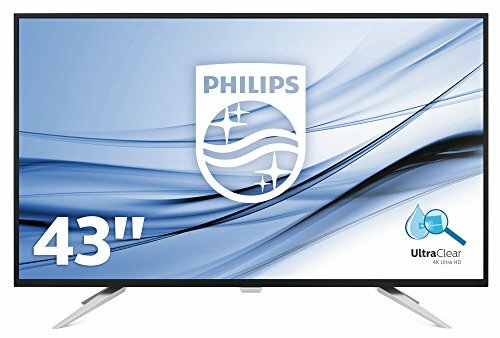 Philips MultiView feature on this expansive 4K UHD display enables you to have up to four systems each shown in Full HD on one screen. 7-Watt Speakers- A pair of high-quality stereo speakers built into a display device.